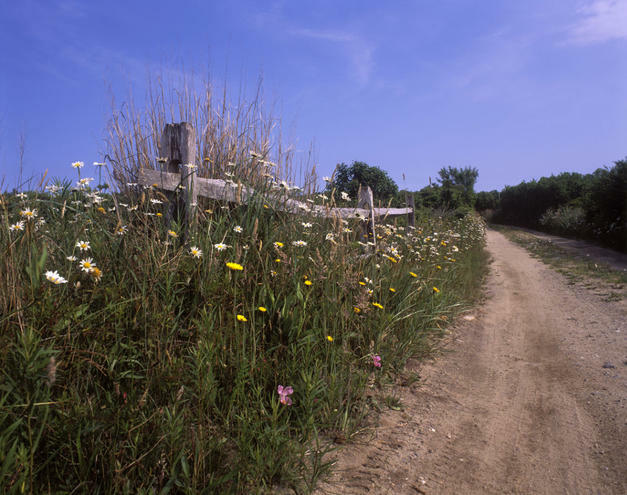 A mid summer view of the flowers along the trail going to a small secluded beach not far from Westcliff in Nantucket. Shot with my Pentax 6 x 7 camera using Fuji Provia film. Also available in B & W.